POWER: Micro USB port for powering the ReSpeaker 2-Mics Pi HAT, please power the board for providing enough current when using the speaker. 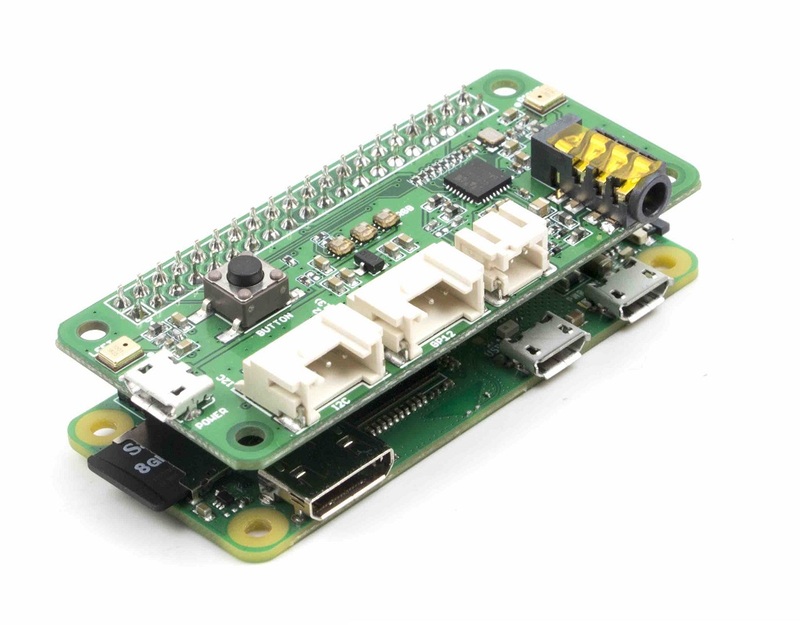 Mount ReSpeaker 2-Mics Pi HAT on your Raspberry Pi, make sure that the pins are properly aligned when stacking the ReSpeaker 2-Mics Pi HAT. While the upstream wm8960 codec is not currently supported by current Pi kernel builds, upstream wm8960 has some bugs, we had fixed it. We must build it manually. Step 1. Get the seeed voice card source code, install and reboot. Step 2. Check that the sound card name matches the source code seeed-voicecard by command aplay -l and arecord -l.
alsamixer is a graphical mixer program for the Advanced Linux Sound Architecture (ALSA) that is used to configure sound settings and adjust the volume. Please use the F6 to select seeed-2mic-voicecard device first. Each on-board APA102 LED has an additional driver chip. The driver chip takes care of receiving the desired color via its input lines, and then holding this color until a new command is received. There is an on-board User Button, which is connected to GPIO17. Now we will try to detect it with python and RPi.GPIO. 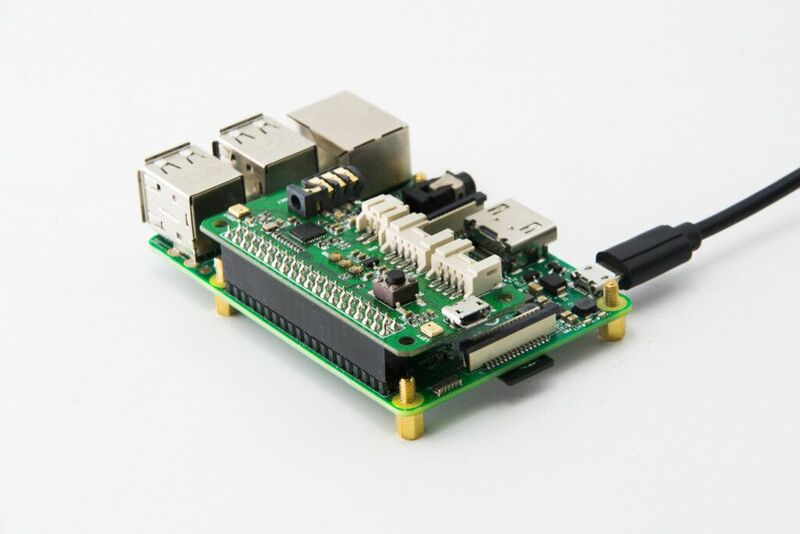 To get started with Google Assistant(what is Google Assistant), the first is that you should integrate the Google Assistant Library into your raspberry pi system. Here is the link to Google official guidance. And the following guide will also show you how to get started with Google Assistant. Follow step 1. 2. 3. 4. in the guide to configure a project on Google Cloud Platform and create an OAuth Client ID JSON file. Don't forget to copy the JSON file to your Raspberry Pi. 2. Use a Python virtual environment to isolate the SDK and its dependencies from the system Python packages. Authorize the Google Assistant SDK sample to make Google Assistant queries for the given Google Account. Reference the JSON file you copied over to the device in Step 1. After running the command, it should display as shown below. Copy the URL and paste it into a browser (this can be done on your development machine, or any other machine). After you approve, a code will appear in your browser, such as "4/XXXX". Copy this and paste this code into the terminal. It should then display: OAuth credentials initialized. If instead it displays: InvalidGrantError then an invalid code was entered. Try again, taking care to copy and paste the entire code. Say Ok Google or Hey Google, followed by your query. The Assistant should respond. If the Assistant does not respond, follow the troubleshooting instructions. See the Troubleshooting page if you run into issues. As Raspbian Operating System is updated to Debian 9, we won't provide our Raspbian image anymore. Click here to get the lastest Raspbian Operating System. This part will introduce Baidu STT(Speech to Text) functions together with GPIO control. Here is the GPIOs configuration. 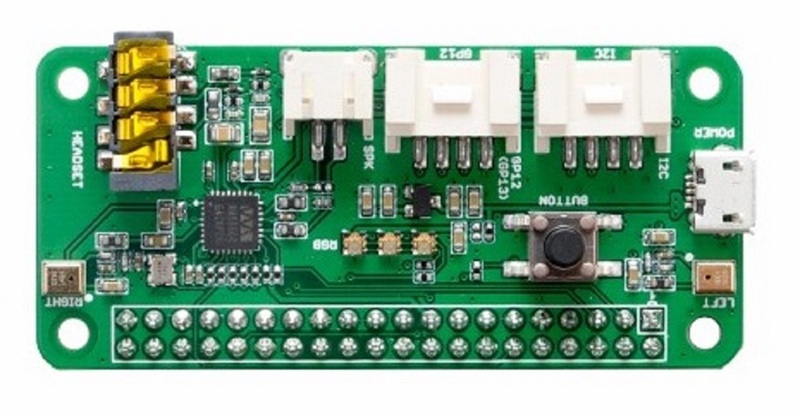 If you do not have a fan, You can connect 2 LEDs on GPIO12/GPIO13 to demonstrate. Please add baidu key @ line 36,37,38 before running python Smart_Fan.py. You also can generate your owner voice by running the synthesis_wav.py. Please do add baidu keys at line 6,7,8 and modify string to what you want to generate. Step 4. Let's say '开风扇'. Step 5. You will see the fan moving. Step 6. Let's try '快一点', '慢一点' and '关风扇'. We use PyAudio python library to extract voice. Step 6. If you want to extract channel 0 data from 2 channels, please follow below code. For other channel X, please change [0::2] to [X::2]. Q1: #include "portaudio.h" Error when run "sudo pip install pyaudio". A1: Please run below command to solve the issue. Q2: How to change the Raspbian Mirrors source? A2: Please refer to Raspbian Mirrors and follow below instructions to modify the source at begining. For example, we suggest use the tsinghua source for China users. So please modify the sources.list as below. Build Your Own Amazon Echo Using a RPI and ReSpeaker HAT: How to build your own Amazon Echo using a Raspberry Pi and ReSpeaker 2-Mics HAT. Your personal home barista comes to life with this voice-enabled coffee machine: An open-source, private-by-design coffee machine that keeps your favorite coffee and caffeination schedule private.